Our professionally trained and experienced team will ensure that you receive the perfect Cupboards or Kitchens for your home. 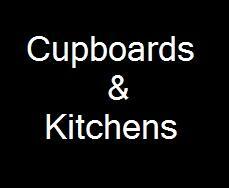 Cupboards and Kitchens have been trading in the Kouga region for more than 30 years. Some of our clientele stretches as far as Cape town and Bloemfontein. Kobus van Jaarsveld is the present owner of “Cupboards and Kitchens” and some of the staff working here has been with us since our humble beginning. We do stock work but our main feature is giving the client the opportunity to impress his/her own personal style in their home by doing the designing themselves. We pride ourselves on our work and believe in the latest technology to help us achieve this. That’s why we have “state of the art” machinery to keep us on the cutting edge of designing, manufacturing and installing your dream cupboards or kitchen.